Visitors to the bus and coach station in Bristol receive something of a surprise. 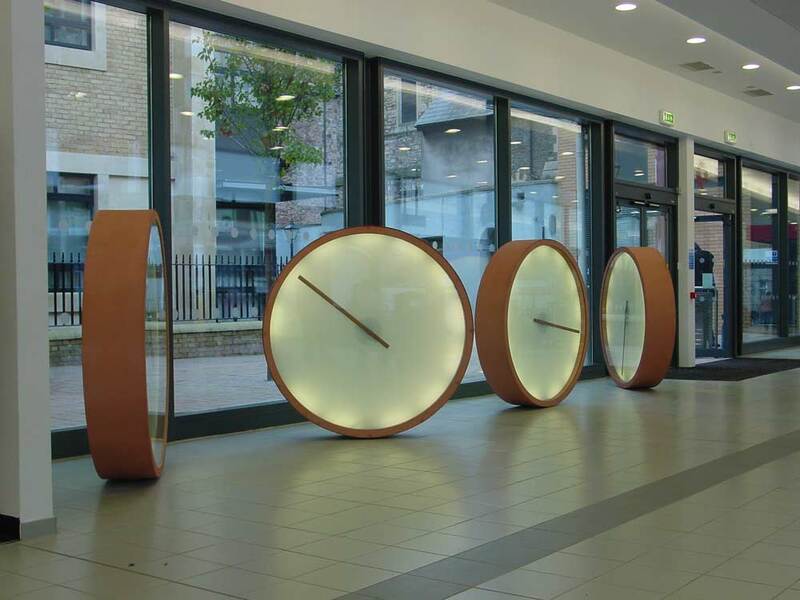 Four large, free-standing drum ‘clocks’ that appear to tell the time but actually do anything but. Those who set their watches by them to catch their bus are in danger of being sorely disappointed. What the clocks, and there are two outside to complete the set, represent is an “experience in time” rather than truth in time. The developers had asked for a piece of conceptual art, hence there being only one hand on each of the clocks, which bear no markings at all. 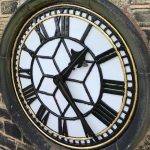 The terminus provides a link between coaches and buses and is an extremely busy thoroughfare, with thousands of travellers looking at the ‘clocks’ every day. As art should, they inspire delight and confusion in equal measure. The hands on the four large drums move at different speeds; at one rev per min, one rev per hour, one rev per 24 hours and one rev per month. 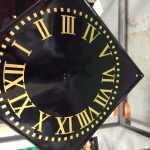 The two external totem clocks rotate at one rev per 12 hours. 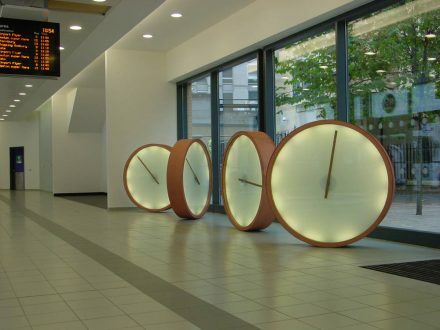 “This was a highly unusual concept which integrated clocks with public art. 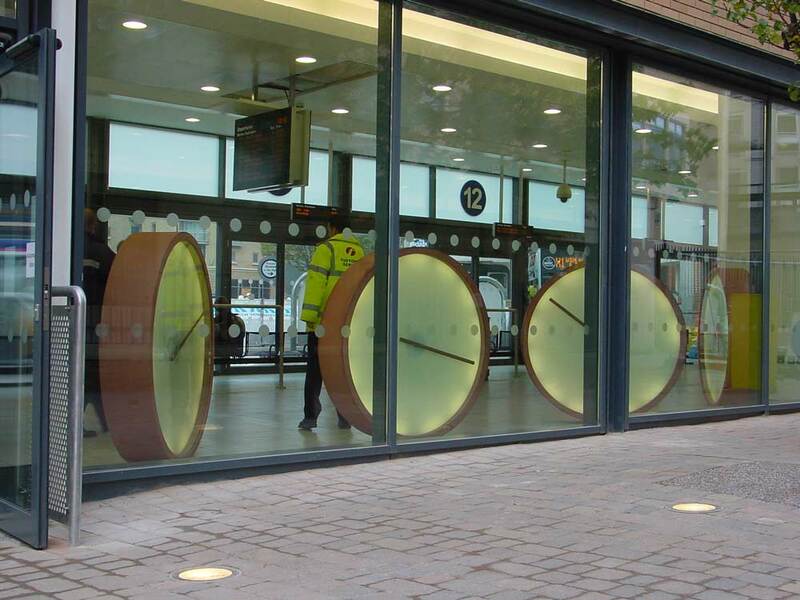 The client as part of his development had to integrate public art and because of the location and the importance of time to travel, wanted something to link the two.